My multi award winning safari partners for this fantastic part of Australia are, in my opinion, the very best people to take you on the virtual “life changing” experience a journey through this part of Australia will give you. The Kakadu National Park, the Bamurra Plains, the Kimberleys, and the mystical Arnhemland, will take you far from the crowds of modern day living, into the wilderness where stresses simply melt away. You will visit great gorges, rock pools and waterfalls, and experience the power and the serenity of outback Northern Australia. As one of only a very few companies granted the privileged entry into the Aboriginal homeland of Arnhem Land by its traditional owners, they will provide you with an experience of a magnificent land that you will never forget. 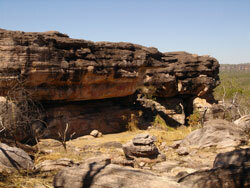 If you visit Australia, make sure you see the real Australia, a large part of which is Kakadu and Arnhem Land. An exceptional adventure for everyone, fantastic for photographers and bird enthusiasts, your trip will be in luxury, late model, four wheel drives, and your accommodation can be either in comfortable tents and swags, hotel or lodges. Everything from a day trip to 14 day safaris can be provided, with a customised itinerary created especially for you. You certainly shouldn’t buy packages when private safaris of this quality are available. There’s a list of sample itineraries below, together with one of them that I’ve itemised as an example for you. If you’d like a customised itinerary, I have a tour enquiry form I can send you, or let me know if you’d like a detailed itinerary and price for any of the sample ones I’ve listed below. 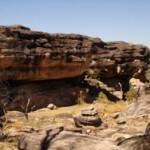 5 day “Luxury Camper” – Kakadu, Arnhem Land, Bamurra Plains. After collecting you from your accommodation your driver will head down the Stuart Highway, and onto the Arnhem Highway, which leads to the World Heritage listed Kakadu National Park. First stop is the Fogg Dam, whose year round water coverage insuring its important position as an important feeding and roosting site for a wide variety of both water birds and other animals. 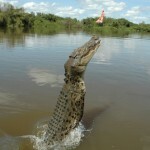 We then move onto the Adelaide River to witness the fabulous “jumping crocodiles” and other wildlife. These magnificent saltwater crocodiles are a fantastic sight as they project their bodies almost totally out of the water, giving you a good understanding of why they have survived for more than 200 million years, and an introduction of how wild the “Top End” still is today. A short detour off the highway is the beautiful “Learning Tree Lagoon” Billabong, often covered in water lilies, which is popular with photographers. The next stop is the Aussie roadhouse, “The Bark Hut Inn”, built during the buffalo era, reminding us of much wilder times in our history. We leave the main road, entering into Kakadu via the Old Darwin Road on the way to our last stop to-day at Cooinda for one of Kakadu’s icons – a Yellow Water Cruise. This 10Sq Km pristine environment supports a fantastic range of plants, birds crocodiles and Top End wildlife. Too numerous to name, this billabong is home to some 280 species that call it their home, and where we will witness one of the Top Ends great sunsets in this tranquil habit. 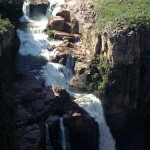 We head to the Southern end of Kakadu seeing first the pristine waterfall Gunlom (Waterfall Creek). Immortalised in the first “Crocodile Dundee” movie, its 120 metre cascading waterfall (up to the end of July) and white sandy beach, gives a great photo opportunity. The best view for miles around, and a swim, is the reward for a challenging walk to the top of the waterfall, coupled with a fabulous view over the South Alligator Valley. Next stop on our journey is Maguk (Barramundi Gorge). The one kilometre walk through sub-monsoon rainforest and a refreshing swim in the crystal clear water of the series of small water holes in this tranquil place. 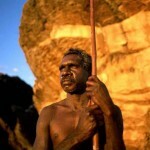 Today we visit the Aboriginal Lands (Arnhem Land) whose access is restricted to a select group of tour operators. The fascinating mixture of traditional and living culture visitors are able to experience in Arnhem Land, and is possibly the only area in Australia where the indigenous culture is still dominant. Arnhem Landhas resisted far reaching changes, and has managed to stay as a last frontier and homeland, for around 20,000 people. Our Aboriginal guide will show us some of Australia’s best examples of rock art at Injalak Hill (Long Tom Dreaming), where the view from the top of the hill looking out across the floodplains and around the escarpment is nothing short of breathtaking. With the opportunity to browse or purchase goods at the Injaklak Art & Craft Centre we also have a chance to watch the traditional Aboriginal people painting, and see the women weaving pandanus baskets. The afternoon gives us privileged access into the valley and its stunning scenery of birds and billabongs, and is truly a place where you can escape and experience this unique, untouched haven of the Northern Territory. (Please note that this tour requires a reasonable amount of balance and agility). It would be a pity to miss this extra day in the magical Kakadu and Arnhem Land. Luxury Toyota Air Conditioned GXL for 3 or 4 days with experienced local guide. The above itinerary is a shortened example of just one of the expert and well organised safaris in this awe inspiring and magnificent part of indigenous Australia. 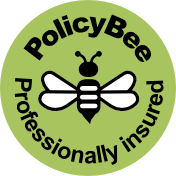 If you have an interest in any of the above tours, or would like to see one or more in greater detail, please email me using the contact page for further information.